The Phantom Class® Open Frame Swing-Out Rack is truly in a class of its own. 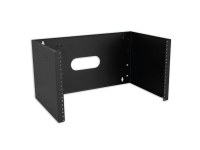 The unrivaled quality allows you to install rackmount equipment up off the floor, and it can easily support up to 150 lbs. 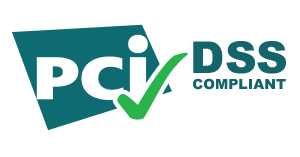 The 90 degree swing-out provides installers the access they need to install and manage patch panels, routers, hubs, switches, cabling, and other networking devices. Pivoting rackmount frame swings out 90 degrees to easily access the rear of installed network equipment. 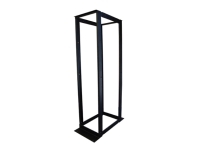 Integrated positive stop prevents the gate from being opened more than 90 degrees to avoid causing damage or stress to cabling and connection points. A simple latching mechanism securely holds the swing gate in the closed position when finished. Knockdown design reduces shipping charges and assembles in a snap. 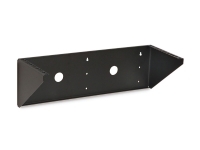 With just a few steps the rack is easy to assemble, and with the 16" on center mounting holes you can mount directly to your wall studs. 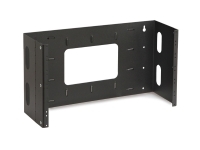 Both the front and rear of the wall rack feature oblong cut outs for securing cable bundles. Simply use your preferred cable ties or hook and loop straps. 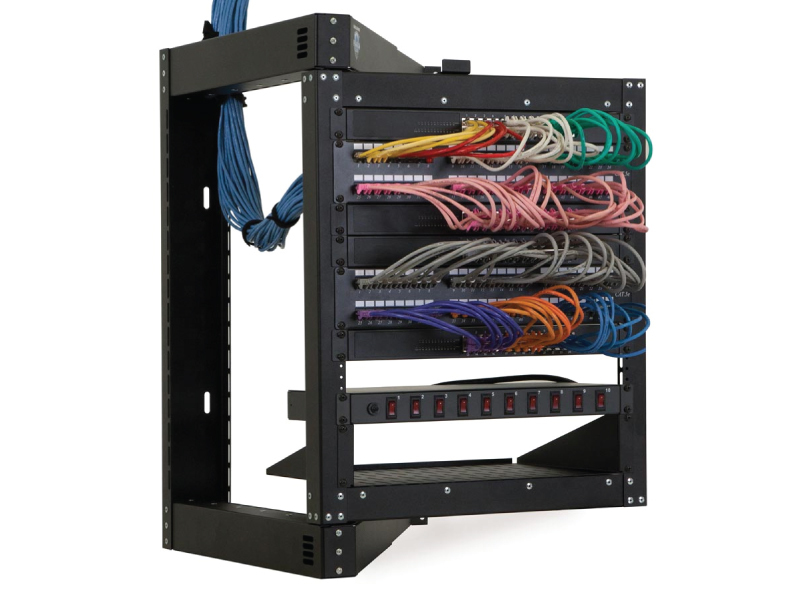 Backless design allows the rack to be installed over existing equipment such as network or electrical conduit, wall mounted equipment, and more. Perfect for upgrading a network that already is in use because you don't have to disconnect cables and spend time re-terminating. Just feed the device through the top, back or sides and mount into place.